Military funds should not pay for a border wall, especially given the readiness challenges and modernization needs that U.S. warplanes, ships and ground forces have after years of reduced funding, the Republican chairman of the House Armed Services Committee said in an interview with his hometown newspaper Tuesday. Rep. Mac Thornberry, R-Texas, said while he supports border security, the $700 billion — coming to the Pentagon six months late in the just-signed 2018 defense bill — is already spoken for. In February budget briefings, the service chiefs outlined their most urgent needs, such as the Navy buying additional Super Hornet F/A-18E/F strike fighters to replace battle-worn jets flown thousands of hours past their expected lifecycles, or the Army’s need to fund modernization and increase training exercises for ground forces. 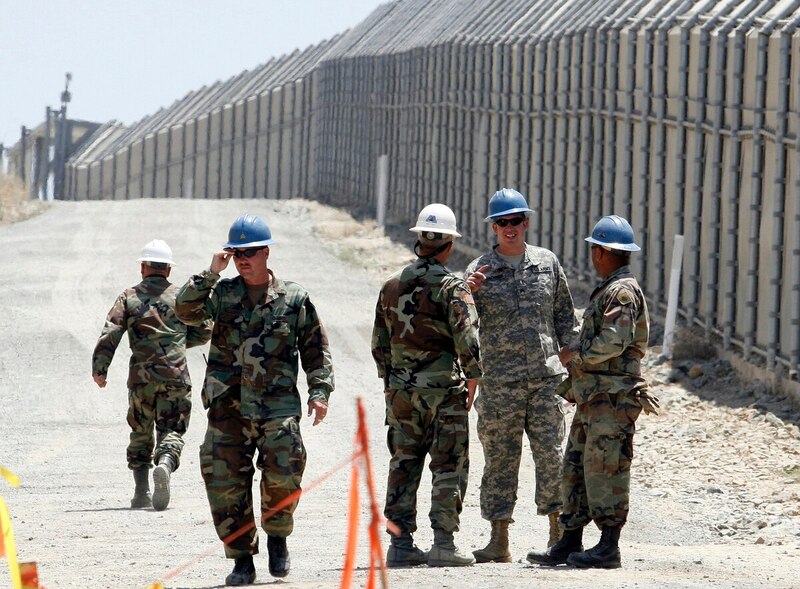 However, President Donald Trump is looking to the military to both potentially fund and man a proposed border wall since Congress did not fund the wall at his requested levels. On Wednesday, Trump signed a presidential memo requesting states send their National Guard forces to guard the border, under Title 32 federal authority. The money for the National Guard will have to come from somewhere in the federal budget. Trump has requested $25 billion to construct a border wall. “I fully support doing more at the border, but we don’t need to rob the military,” Thornberry told the Times Record News prior to Trump’s announced Guard deployments. On Thursday, the Pentagon outlined some of the ways it is responding to Trump’s call for assistance. The Pentagon will stand up an operations cell to support coordination between the Department of Homeland Security and DoD as both agencies work out the details of how to execute Trump’s enhanced border security plan. “This is not business as usual. The cell will last for the foreseeable future, to ensure we surge our capacity to meet the president’s enhanced border security goals,” said Pentagon press secretary Dana White. The state governors who agree to send forces under Title 32 funding would be supporting Customs and Border Patrol Agents along the Texas-Mexico border with “aviation, engineering, surveillance, communications, vehicle maintenance and logistical support,” White said. The Republican governors of the border states of Arizona and New Mexico welcomed deployment of the Guard along the southwest border as a matter of public safety, but it was unclear how Democratic California Gov. Jerry Brown would respond to Trump’s call. The Pentagon had no estimates on the number of forces needed or how much it would cost. And the military is also looking at how it could physically build part of a border wall, possibly by reinforcing existing barriers along more than 20 miles of military lands along the U.S.-Mexico border at the Barry M. Goldwater Training Range in Arizona, White said.